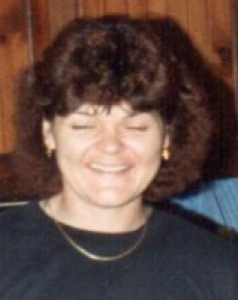 Karla Kay Magoto, 53, passed away on March 25, 2013 at 4:02 PM at the Pavilion Nursing Home in Sidney. She was born December 8, 1959 in Sidney, Ohio the daughter of Carl and Doris (Rider) Magoto. Her father is deceased and the mother survives in Sidney. Also surviving is a daughter, Wendy Niswonger of Sidney and a son, Scott Reprogle of Sidney; two sisters, Debra Pinkerton and husband Thomas of Sidney and Patricia Amburgey and husband Eugene of Sidney and a brother, Carl Magoto of Sidney; and six grandchildren. She attended Graham Schools. She had been employed at one time at the Pavilion Nursing Home as a cook and also worked at Clean-All Services in Sidney. She was a past member of the Eagles. She loved to crochet and make afghans for people. She was a member of Holy Angels Catholic Church. Memorial services will be held on Saturday, April 6, 2013 at 2:00 PM at Calvary Baptist Church, Sidney, Ohio. Burial will be at a later date at Cedar Point Cemetery, Pasco. Salm-McGill and Tangeman Funeral Home in Sidney is handling the funeral arrangements.